As former Education Deputy Director at Japan Society, New York, Kazuko has extensive experience in organizing and leading guided tours in Japan including Educators’ Study Tours to Japan and Leadership in Education Tour for groups of educators from the U.S.(1999-2015) sponsored by Japan Society. Currently Kazuko resides in Osaka, Japan, and offers guided tours to groups and individuals traveling to Japan. Her specialities include history tours in Kyoto, Nara, Osaka and Tokyo, as well as peace education tour in Hiroshima. In 2012, Kazuko accompanied family members of President Harry Truman’s grandson as their guide and interpreter during their first visit to Hiroshima and Nagasaki. Kazuko has actively engaged in peace promoting initiatives including assisting the donation of paper cranes folded by Sadako Sasaki to historically important sites in the United States — 9/11 Tribute Museum in New York, Pearl Harbor Visitor Center in Hawaii and Harry Truman Library & Museum in Independence in Missouri. She has been invited to give a talk on peace education at schools and institutions in the U.S. and Japan. Kazuko has served as a volunteer docent for the 9/11 Tribute Museum and assisted atomic bomb survivors when they visited schools in New York City as a team member of the Hibaksuha Stories. Her publications include a book Miracles Flying On the Wings (by Kodansha Publishing, 2013) and newspaper articles featuring her peace promoting activities and travel & tourism. 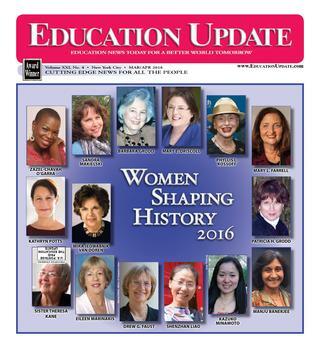 Kazuko was chosen as one of the 15 women to receive the 2016 Women Shaping History Award.